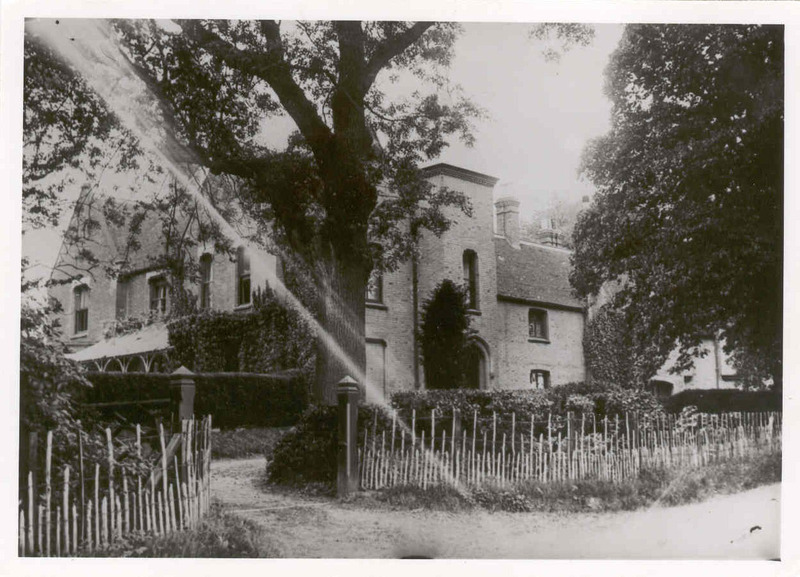 Nothing now remains at Borley for the visitor interested in seeing what the 'most haunted house in England' was like - the former Rectory site is now part of a private garden and the building itself has long since been demolished and cleared away. All evidence of the building has vanished, or has it? Despite the passage of many years a few relics of the famous Rectory have survived, although their exact locations today is in some cases open to speculation. 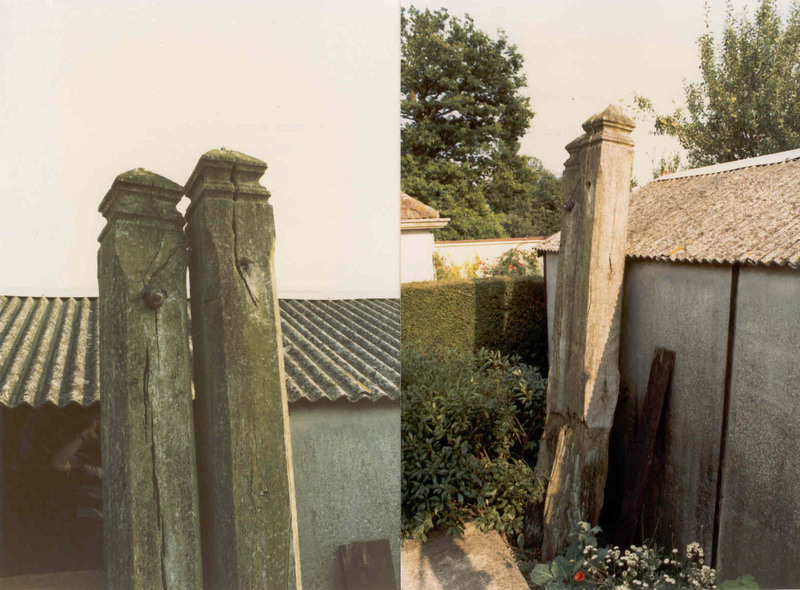 The original timber gateposts which framed both ends of the driveway alongside the North-East elevation of the building, which was in fact the front of the house and not the famous double-gabled elevation, survived the demolition of the building in 1944 and it appears were left in their original positions for some time. They can be seen in photographs held at the University of London Library as part of the Harry Price Collection which were taken when Trevor Hall and Kathleen Goldney visited the site in 1951 in preparation for their collaboration with Eric Dingwall on the 'Borley Report' which was published five years later. At some time after this, one set of gateposts was removed and set aside. They were still at Borley in 1984 when they were photographed by Richard Lee-Van den Daele. 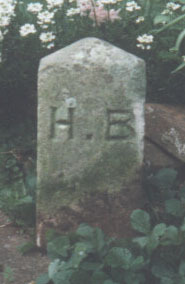 Richard was then corresponding with the late Ivan Banks whose book on the Rectory hauntings, The Enigma of Borley Rectory was published by Foulsham in 1996 and informed him that the gateposts were still extant. Banks travelled up from Maidenhead and bought them for £20 and after transporting them home and applying a liberal application of wood preserver they took pride of place in his garden. Ivan Banks died shortly after his book on Borley was published. What became of the gateposts after that is not known. It would appear that unless someone who took over the property after Banks's death knew their provenance they may well have been cut up or burnt, so for the moment their possible whereabouts , if they do still exist, is a mystery. 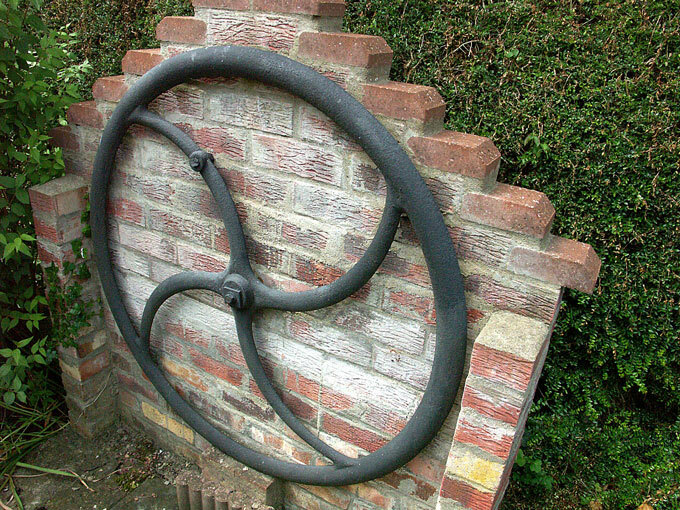 One item which again survived from the time of the dissolution of Borley Rectory and can be seen today is the original courtyard pump wheel. Borley Rectory had no running water as such and all water had to be hand-pumped from a well into a storage tank which was located in the attics of the building. Much discussion has been given to the "well tank" in the past as to its significance as part of one of the famous wall writing messages, the "Well Tank Bottom Me" script which appeared during the Foyster incumbency. A full analysis of the "Well Tank" episode is given by Andrew Clarke on his Foxearth website. The water pump was situated in a covered area which was part of the 1875 extension of the Rectory and was used by successive incumbents up until the fire of February 1939. 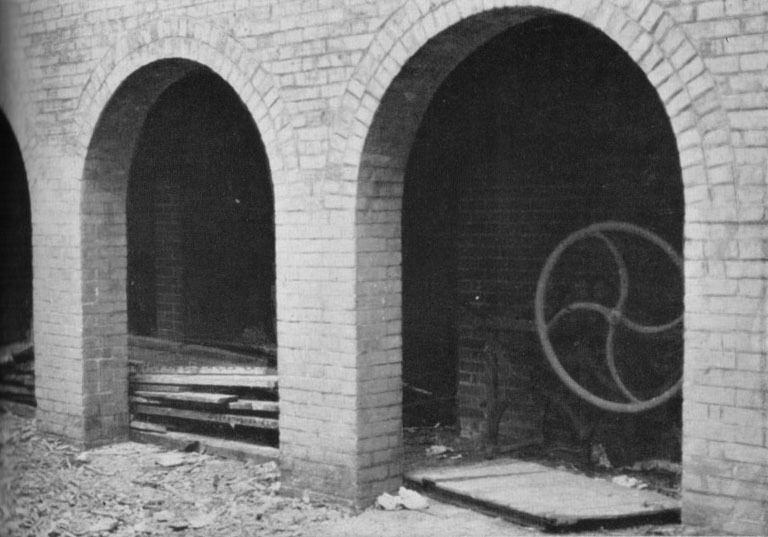 Following the demolition of 1944 the pump mechanism with its wheel stood amidst the rubble-strewn site until the area was eventually cleared. The pump machinery was evidently scrapped but the wheel survived this and also a plan for it to be taken to America. Like the gateposts, the wheel lay in a garden at Borley for several years before being restored and is now in private hands. It was photographed by Eddie Brazil in 2005. 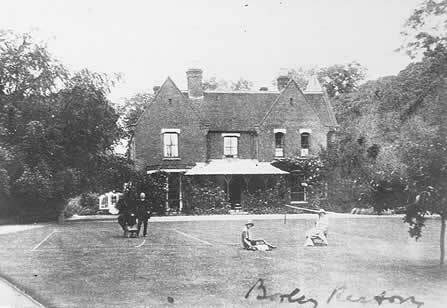 Two further relics from the original Rectory that are included on this page are the great Borley Bell, which hung on the opposite wall of the courtyard to the water pump, and the Rectory boundary stone which was positioned on the site plan drawn by Sidney Glanville that was included in both of Harry Price's Borley books. 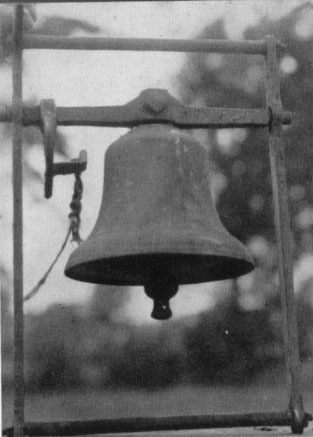 Price himself claimed the Borley Bell as a souvenir when the Rectory was sold to Capt. Gregson in 1938 and hung it outside his workshop at his home in Pulborough, West Sussex. It remained there for several years after his death until it was given to Peter Underwood in 1973 by the University of London who were the executors of the Price estate. Underwood was then living in Bentley, Hampshire and hung the bell outside his own house. As Peter Underwood now lives in London it would appear that the Borley bell has travelled there with him. The Rectory boundary stone was presented to Peter Underwood by the poet James Turner who lived in the former Rectory Cottage in the post-war 1940s. The stone was positioned on the edge of the upper lawn, a curious position for a boundary marker as it was well within the curtilege of the Rectory grounds. 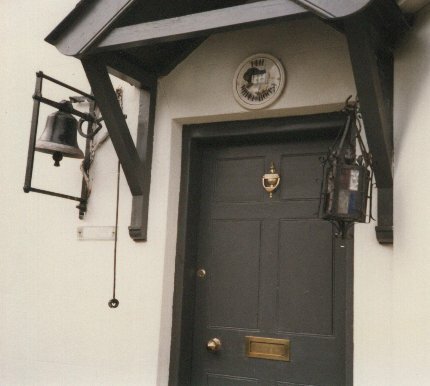 Like the bell, it was transferred to Peter Underwood's house in Hampshire and has presumably moved with him to London.